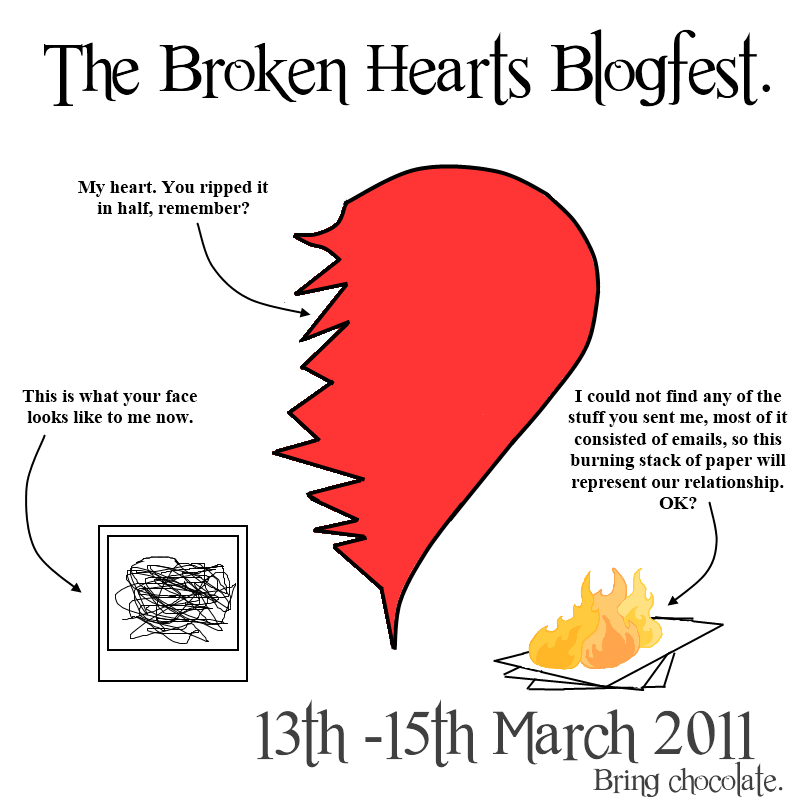 The basic idea is to write about a heart breaking or one that is already broken. Show us the wretched emotions, the anger, depression, fear, whatever happens after the happy honeymoon lovey-dove V-day stuff is over and all that is left is a broken heart. 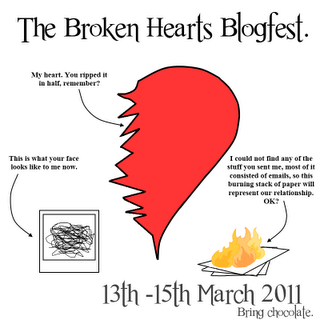 Sounds like a cool blogfest.